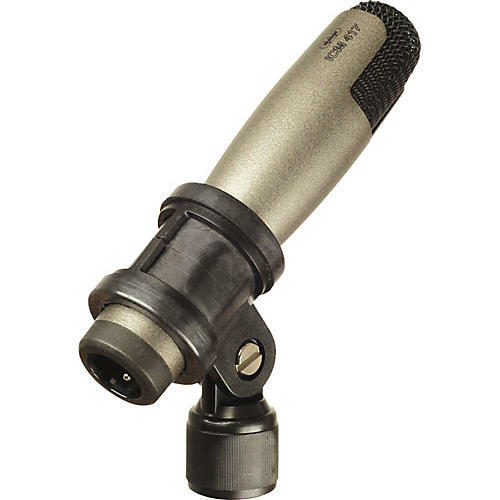 Packaged in a rugged small, all metal body, the ICM417 electret condenser microphone provides natural, transparent sound quality. The transformerless design of this cardioid condenser provides optimum low frequency response and low distortion. Designed for use with cymbals, overheads, and stringed instruments, the wide, flat frequency of the ICM417, coupled with the CAD exclusive I.N.R. shockmount, make this an extremely high quality percussion microphone, as well.